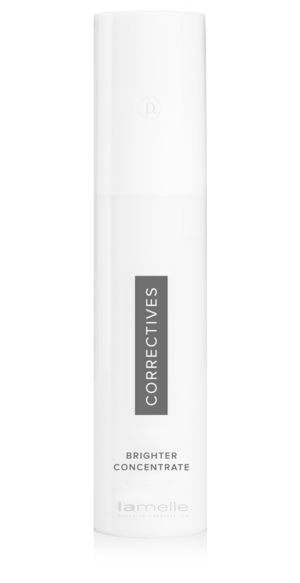 Lamelle Brighter Concentrate is a powerful corrective serum that assists the complex problem of hyperpigmentation with an innovative blend of conventional and unique peptide ingredients. Ideal for all skin types with pigmentation concerns. Key ingredients include Oligopeptide-34, Oligopeptide-51, Oligopeptide-53 and Pentapeptide-15 – four proprietary pigmentation inhibiting peptides. Decabutin is a very rapid penetrator, reaching straight to the root of the problem and reducing the appearance of dark spots. Fragrance-free. Not tested on animals. Dr. Webster’s Recommendation: This is a very useful combination of non-irritating ingredients to help reduce pigmentation. It does does not contain hydroquinone or a topical retinoid which may irritate sensitive skins. Always use a high factor, broad spectrum sunscreen when using active ingredients. Apply in the morning and evening on affected areas either as a booster or with other skincare products but best used in conjunction with the Lamelle Luminesce pigmentation regimen. 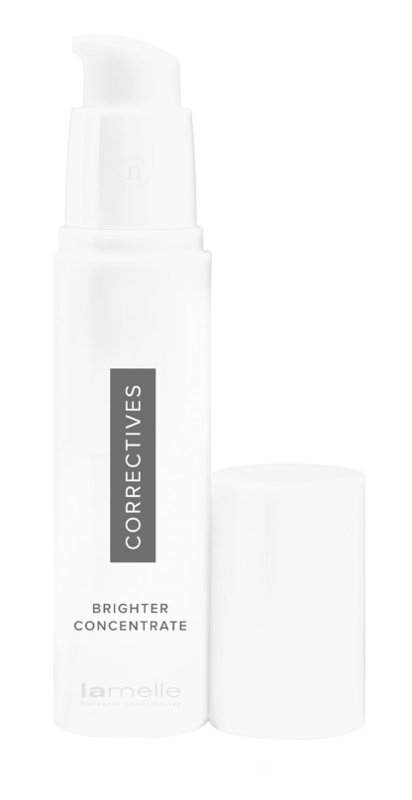 Brighter Concentrate has a gel-like consistency that spreads easily upon application. It can also be used as a preparation for and post professional resurfacing treatments to reduce the risk of post-inflammatory hyperpigmentation. It does not need to be discontinued prior to professional treatments. Meticulous use of a high factor, broad spectrum sunscreen is an absolute must while using this product. Avoid the sun if possible during the hottest times in the day and wear a woven UV protective hat when in the sun. This product is a staple in my routine and a regular repurchase. Loaded with ingredients to fight pigmentation, together with the Ovelle supplements it really makes a difference. This product is really working.My Pigmentation is getting lighter lighter.I use it with luminesce evening glow at night.The texture of skin is soft and smooth since using this product. Potent treatment to help reduce brown marks.